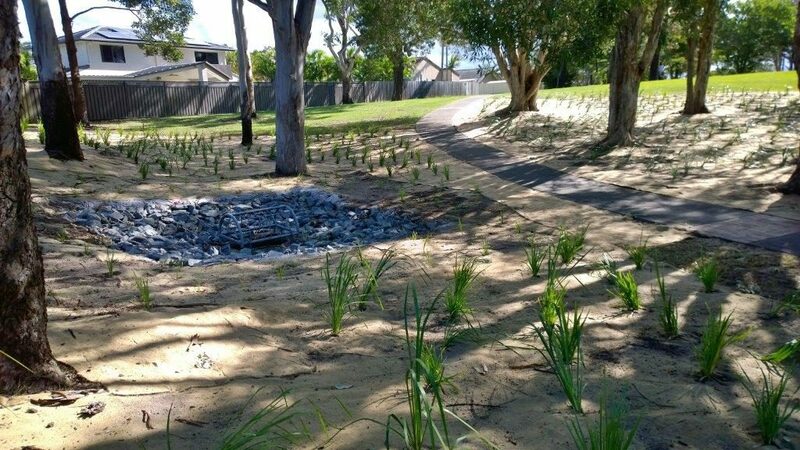 The care group raised concern with Council over erosion of soil surrounding the drain in Bel Air Park. With trees shading the drain area, a lack of sunlight resulted in poor growing conditions leaving large areas of bare soil. 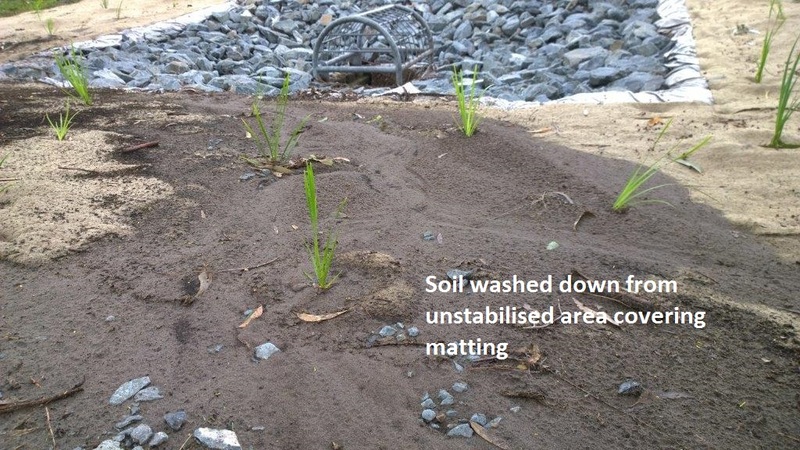 Gold Coast Council responded with major replanting works to stabilise the area. It was “Murphys Law” that during the restoration, it started raining. This resulted in large amounts of soil being washed down the drain and clearly highlights the need for these works. The final plantings, once established will be a great asset for the park and offer long term improvements to the water quality of Lake Hugh Muntz by reducing soil runoff into the lake. A big thank you to Parks and Recreation for a job well done!